Swing by our very own summer camp. Laugh and play with your friends and meet new ones along the way. 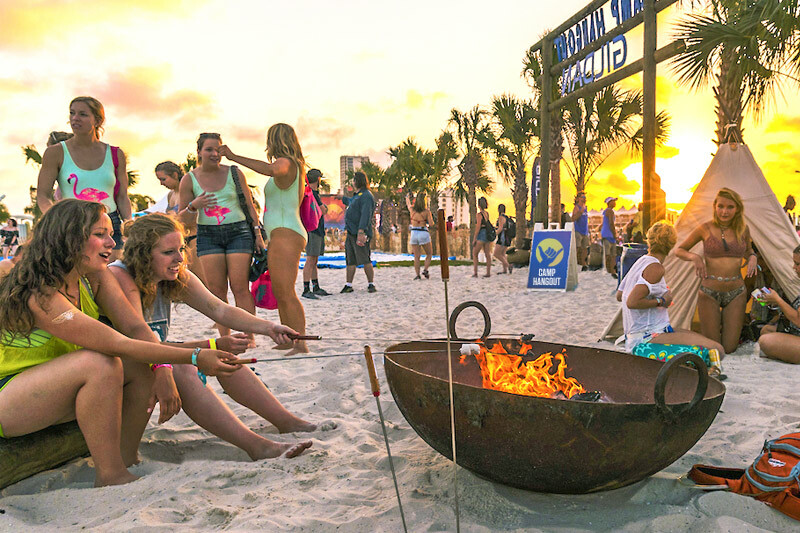 We’ve got s’mores, arts & crafts, swimming, dodgeball and more! 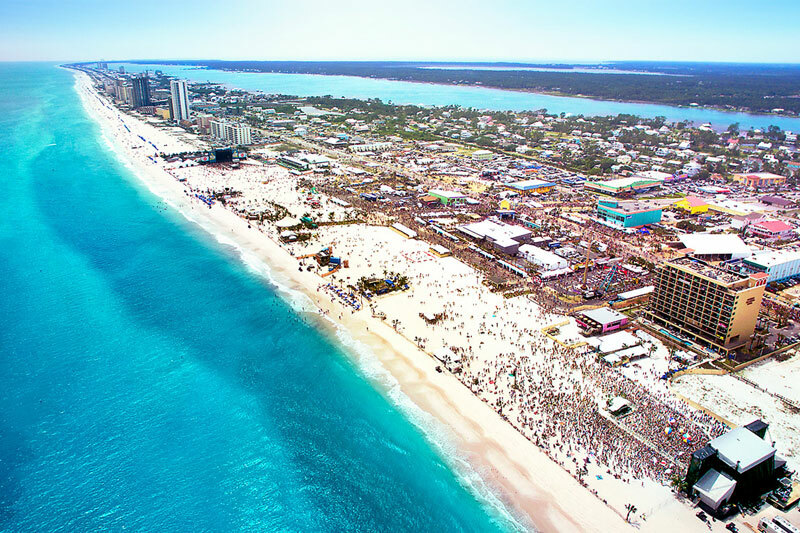 Featuring an incredible line-up of DJs for a weekend filled with beachside dance parties. When you are ready to cool down indulge in an ice cold Malibu frozen cocktail. 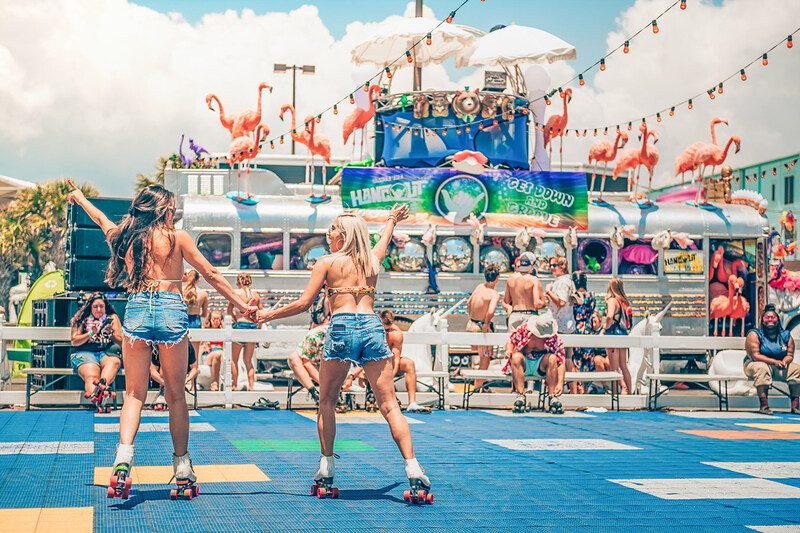 Roller skates and bathing suits go together like frozen drinks and baby umbrellas. Come hit the rink with your besties, we’ll have your the socks and skates waiting! 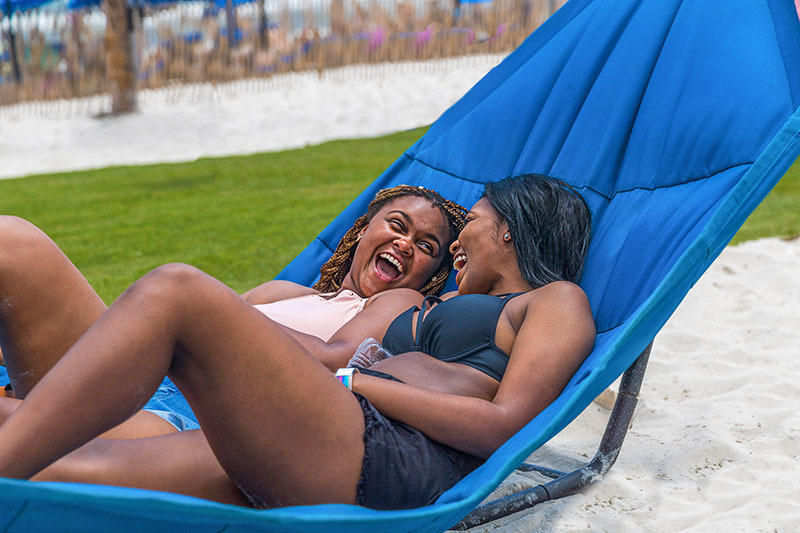 Enhance your Hangout experience at our amazing beach club. Come jump in the water for a swim or lose yourself to the music performed by an all-star cast of DJs. 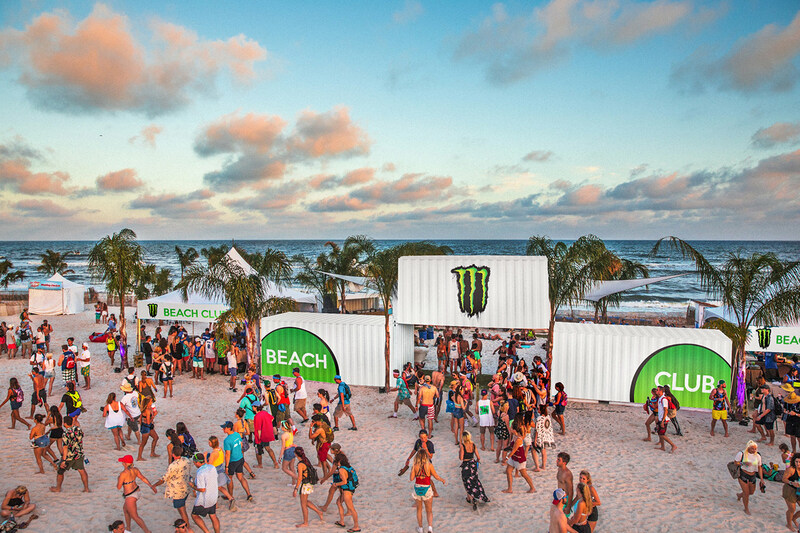 Grab a free Monster when you visit. 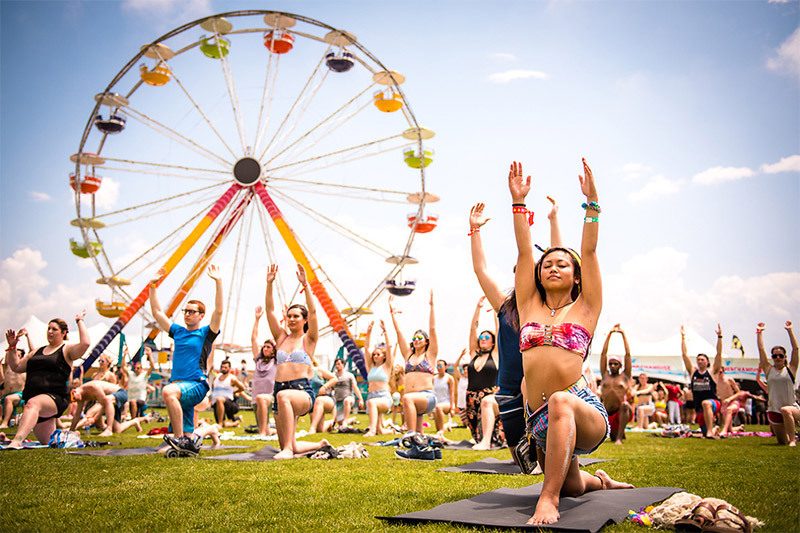 Get your day started right with morning yoga starting at 11:15 am everyday on the Great Lawn. Yoga is free and open to everyone regardless of skill level. No mats required. Enjoy a relaxing massage or recharge with one of our Hydration IV treatments in this beachy oasis. Or, refresh your look at the Hello Gorgeous Blow Dry Bar & Salon. 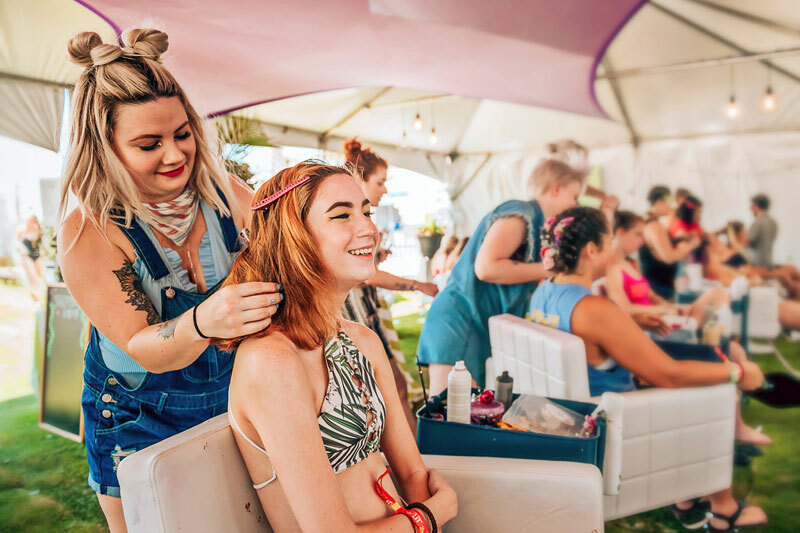 Schedule a session with a hair stylist for a blowout, hair straightening, braiding, glitter roots, colored sprays or a new style! Game on! 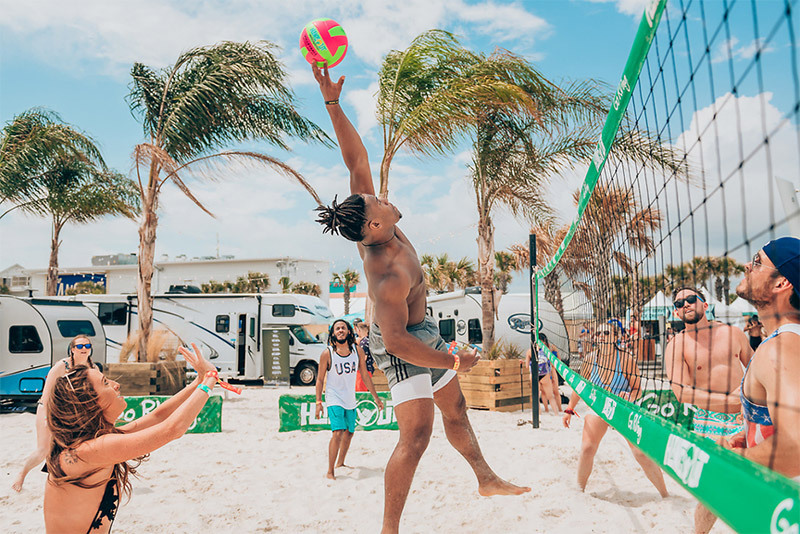 Check out the beach volleyball court in the heart of the festival. There's always a game going . Everyone loves puppies! 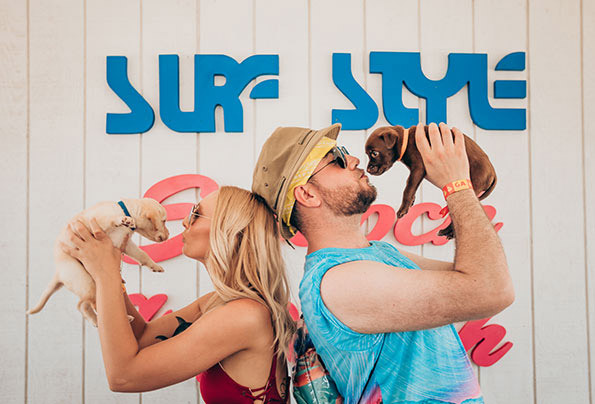 Swing by the Puppy Kissing Booth a chance to smooch a pooch. You get to cuddle ‘em. Plus, help us raise money for the Baldwin Humane Society and find a home for these cuties. 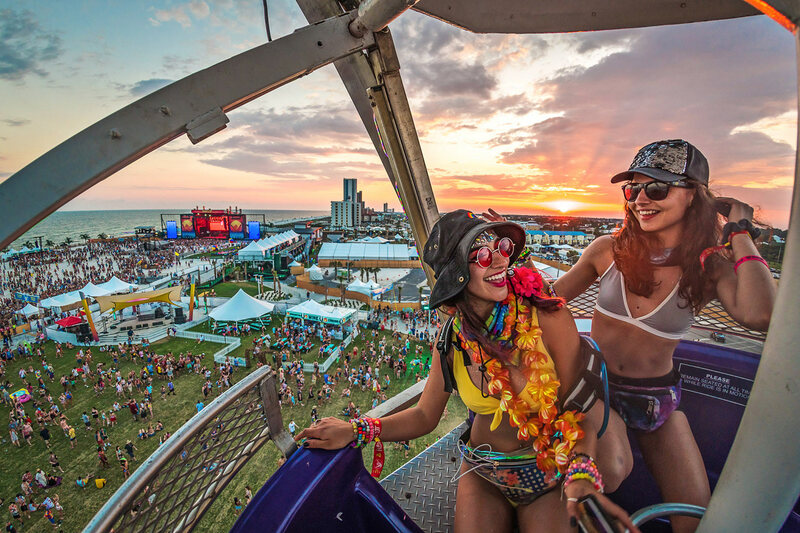 Don't miss the epic views from the top of the ferris wheel. Check out all the action and all the stages from the iconic ferris wheel located on the Great Lawn in the heart of the festival. School’s out, disco is (back) in! We took a classic yellow school bus and gave it new life. 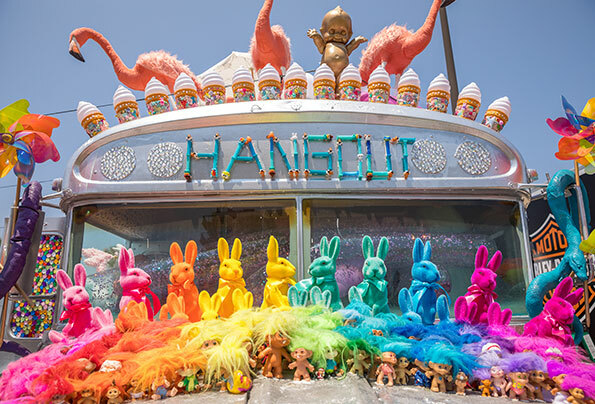 Silver and rainbow, furry and shiny, it’s part art and all fun! Grab your camera and come over for one of your soon-to-be favorite pics of the weekend. Our Wedding Chapel is the home to hilarious hijinks and true love. Get married by our improv comedian ministers for a laugh or get married for real. 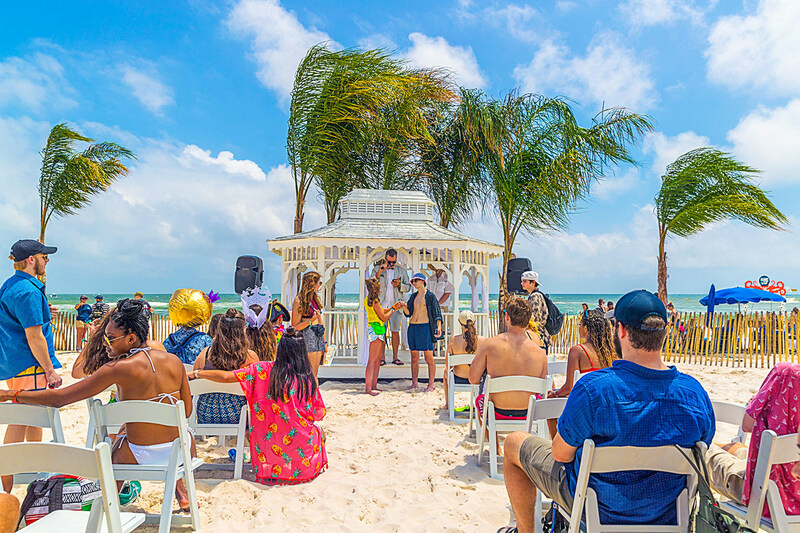 Join thousands who have gotten hitched at Hangout! To schedule a real ceremony, email us! 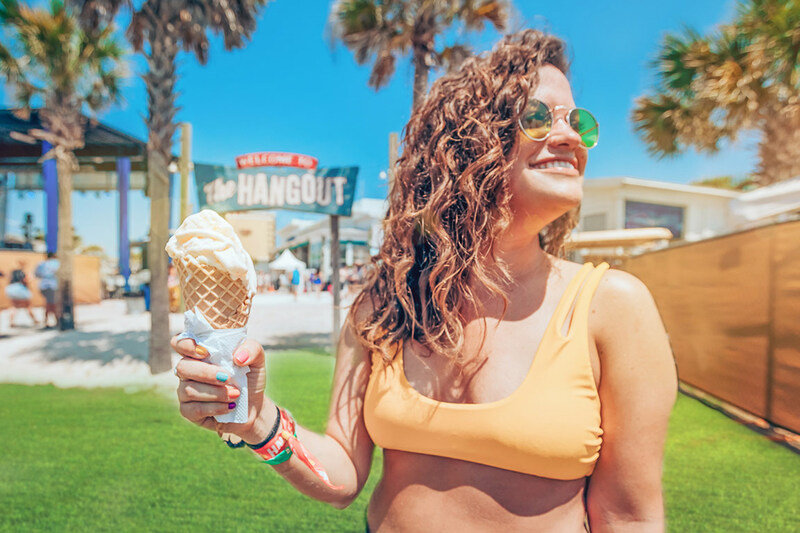 Choose from dozens of restaurants throughout the festival for quick bite or stop by the Hangout Restaurant for a shaded air-conditioned meal We have food options for everyone so you can refuel and go see the next show! Hang at the chillest spot at the festival where you can rest & recharge under a canopy of palm trees as you listen to the waves crash on the white sand. 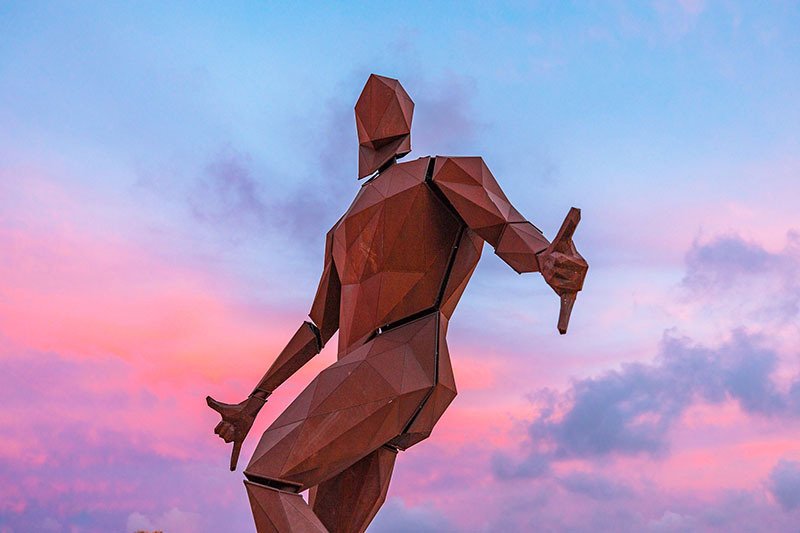 You never know what you'll find at Hangout. Around every corner you'll find a suprise. We're busy dreaming up new ideas. Stop by the Do The Right Thing Store to learn how you can help keep the beach clean and #leaveonlyfootprints. Recycle empty cans to earn coupons and exchange them for awesome swag. The person who trades in the most recycling will receive two General Admission tickets to next year’s fest!